When President Obama next week attends India’s Republic Day festivities, celebrating the 65th anniversary of the country’s constitution, he’ll be the first U.S. President invited as the guest of honor and treated to a spectacle rife with symbolism. 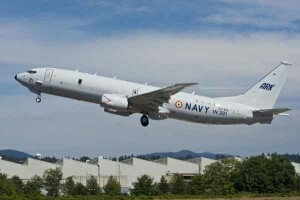 In addition to floats, bands, and regiments parading along the Rajpath on everything from mounted camel to motorcyle representing the diversity of India, the President will also witness a ceremonial flyover of a P-8I maritime patrol aircraft (MPA) in formation with two MiG-29K fighter jets (pending security concerns). This flight is symbolic in its own right for several reasons. On the face of it, the flyover celebrates the induction of both aircraft into the Indian Navy. But their inclusion, the only other time than the display of Harriers in 1984 that naval aviation has taken part in the flyover, also highlights India’s renewed emphasis on bolstering its status a maritime power. India’s confidence in its naval service was shaken in the wake of a spate of nearly a dozen terrible accidents over a roughly the past year-and-a-half, resulting in the loss of more than 20 lives and significant damage to several vessels. 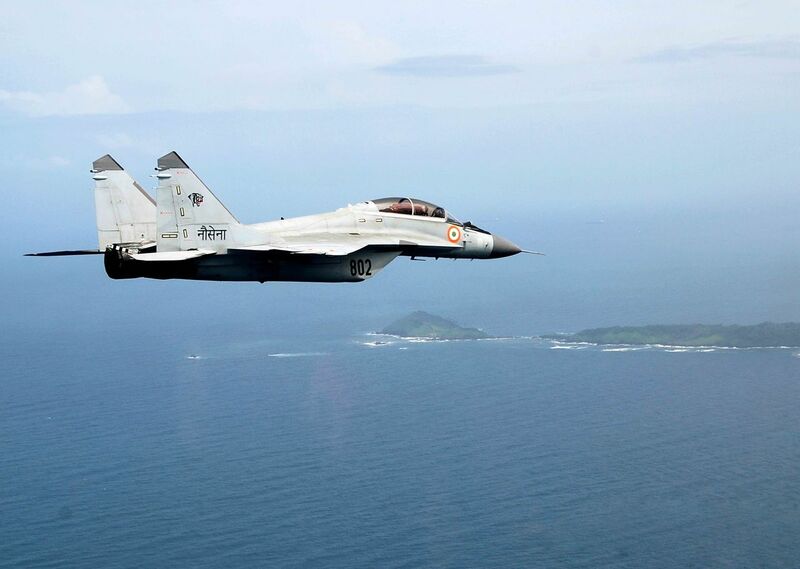 Despite adopting a “Look East” policy in 1991, India has in large part to this day viewed its strategic choices through the prism of its contentious relations with its neighbor to the northwest, Pakistan, promoting its air and ground forces at the expense of its naval. After Prime Minister Narendra Modi declared in November that he would follow through on the previous policy’s promise by setting out to actually “Act East,” observers are beginning to see signs of action. Modi has boosted ties with Vietnam and Japan, including inviting the latter to return last summer for its U.S.-India naval exercise Malabar and last week agreed to further strengthen US-India-Japan trilateral ties, although the effective result of this sentiment is unclear at this point. Early this year India may have also (but denies having) played a role in reversing China’s influence in Sri Lanka, seen as a key node in China’s Maritime Silk Road concept and playing host to Chinese submarine port calls to India’s displeasure, through aiding the surprise defeat of President Rajapaksa. However there is another view of the symbology of the flyover. It will not be lost on most observers that the MiG is of Russian origin, and the P-8 hails from the United States. 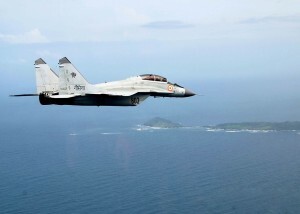 As such, the flight represents the choice for India between its traditional weapon supplier, Russia, and new options. These alternatives include India itself, as it looks to produce as much domestically as it can, at times in partnerships with those willing to share technologically advanced designs, but also those with whom it would like to cement friendships. In the Indo-Pacific such as Japan, which is attempting to finalize a deal over US-2 amphibious aircraft. This presents the United States with several opportunities. 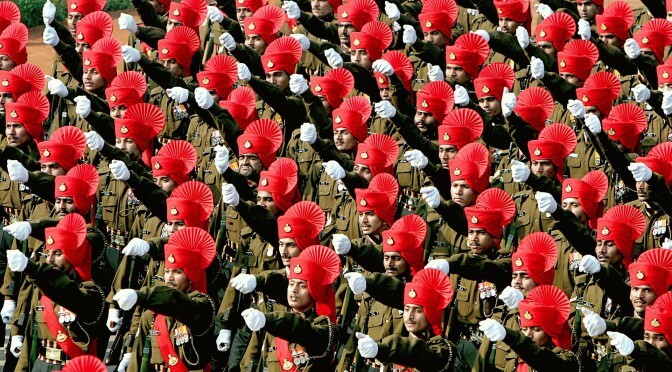 During his trip President Obama is expected to renew a defense cooperation framework with India for another 10 years. But this is more or less the continuation of the status quo. At the same time, India is seeking suppliers of drones, and is likely to get the RQ-11 Raven, but would be well suited for sale of larger drones for maritime surveillance or as strike aircraft. Further, India is reportedly weighing the benefits of nuclear propulsion for its second indigenous carrier. Both drones and nuclear propulsion are fields in which the United States excels, yet selling either carries risks. The sale of armed and larger drones, which U.S. export controls currently restrict, would if nothing else pique other partners already turned down from purchases. If lax safety standards led to an accident aboard a nuclear vessel, public opinion could call into question the U.S. Navy’s use of it. But the bigger risks are those of missed opportunity, the opportunity not only for business, but for binding ties between two maritime powers with much to gain through increased cooperation.